In Language Arts we are looking at chronological order as way to understand text and to help organizer our writing. Students are learning about how to enhance sentence structure by using conjunctions to write compound sentences. 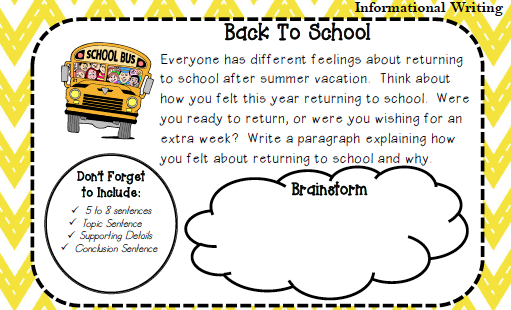 You will find the assignment, a graphic organizer for the rough copy, an editing check list for the final copy and the timeline activity below. 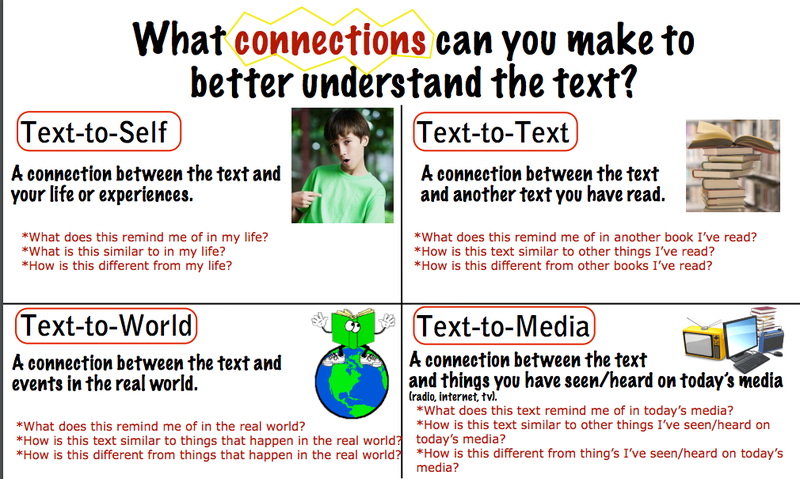 In Language Arts we are beginning to focus on ways we can connect to texts to help develop greater understanding and meaning. Regular reflections will become a part of our reading program so to equip students for success we will be looking at how to explicitly write such a reflection. We will be learning about text-to-world, text-to-text, text-to-media and text-to-self connections. 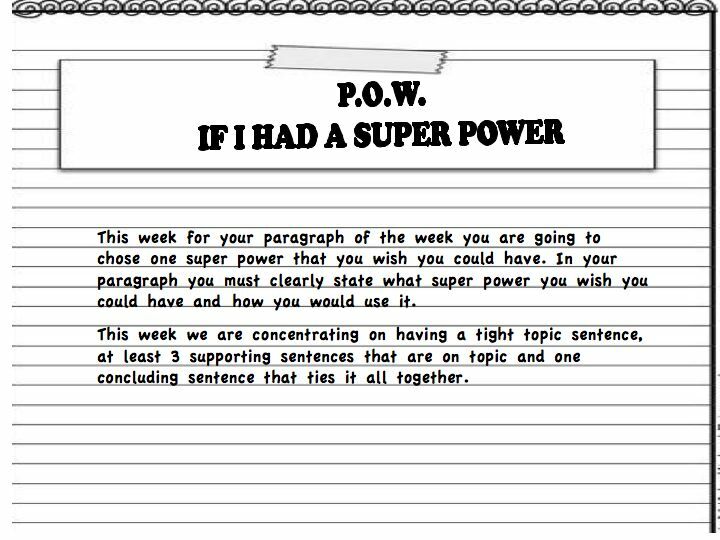 This weeks writing assignment will be focused on the text-to-self connection. Text-to self connections are highly personal connections that a reader makes between the reading and the reader's own experiences of life. 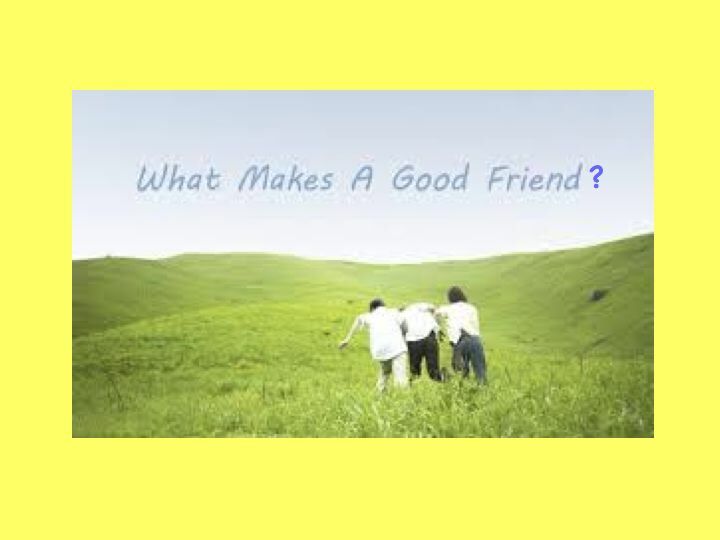 To make these connections the reader must ask are there similarities or differences between my life, my family, my friends, holidays I've been on, things I've seen, experiences I've had or feelings I have had. Understanding that connections are not just skin deep is a difficult concept for students to grasp. When asked to connect they often will identify with age, grade level, hair colour. To challenge their understanding of connection we watched the Pixar short Lifted. When we really talked about the film we found that it was the small alien that we could connect with, not the human. The three films we will be using are below. Take time to talk about the different ways student's may have connected to the films. 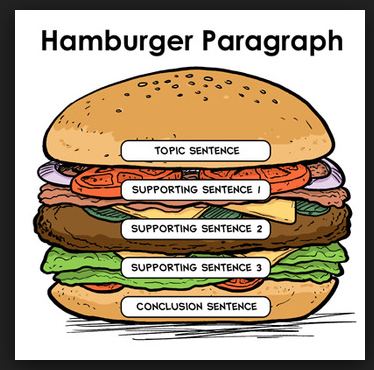 We are looking at the 'Hamburger' model of paragraph writing. 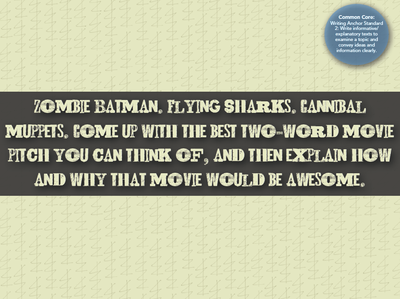 It is a great visual for understanding how the topic and concluding sentence hold the paragraph together. Below is the information handout regarding POW. Rest assured that we will be working on this assignment in class and lessons will be geared to building the skills needed to write great paragraphs. I will be working with all students to set specific goals to improve their writing. 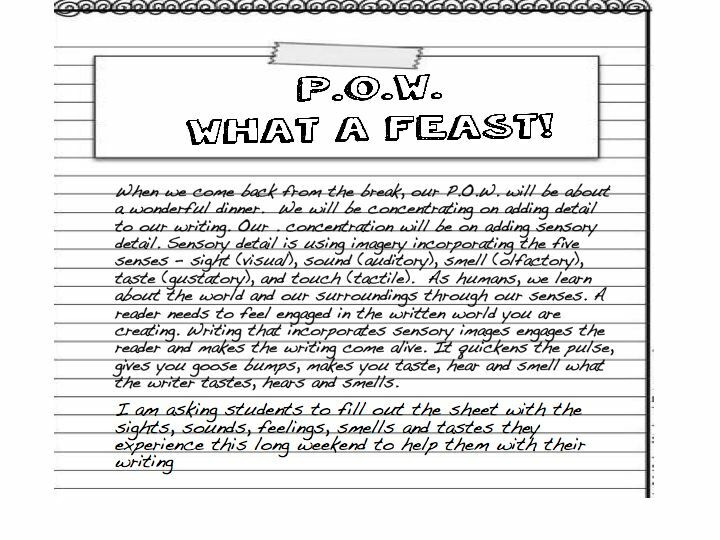 To aid in the process check their journal's on Wednesday or Thursday night to help them edit their rough copy. 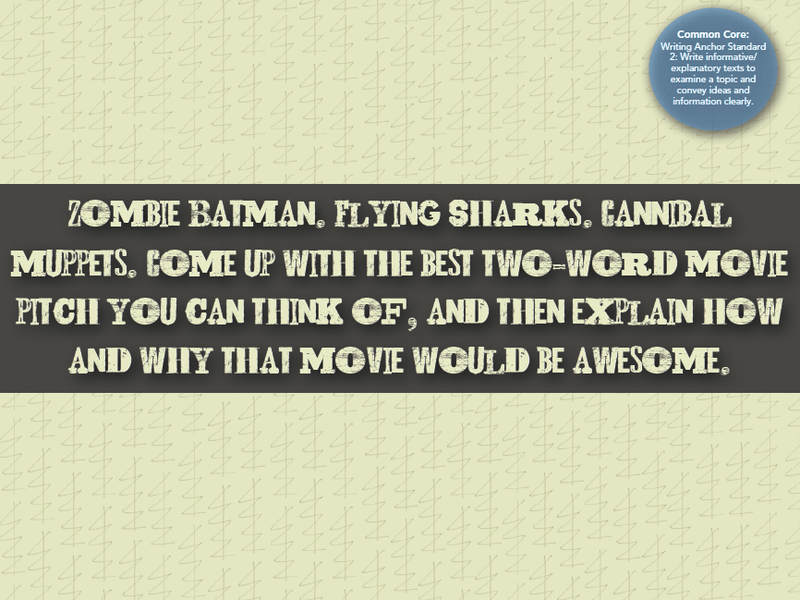 Each week I will add a copy of the weeks assignment to this page.